Today’s AM fix was USD 1,346.00, EUR 967.16 and GBP 809.72 per ounce. Yesterday’s AM fix was USD 1,362.50, EUR 979.37 and GBP 820.49 per ounce. Gold dropped $10.80 or 0.79% yesterday to $1,355.40/oz. Silver fell $0.31 or 1.47% to $20.82/oz. Gold extended losses to a third session today. Gold has fallen from the six month high of $1,391.76, touched earlier this week on the deteriorating geo-political situation between Russia and the West. Traders have taken profits as tensions have eased somewhat, in the short term at least. 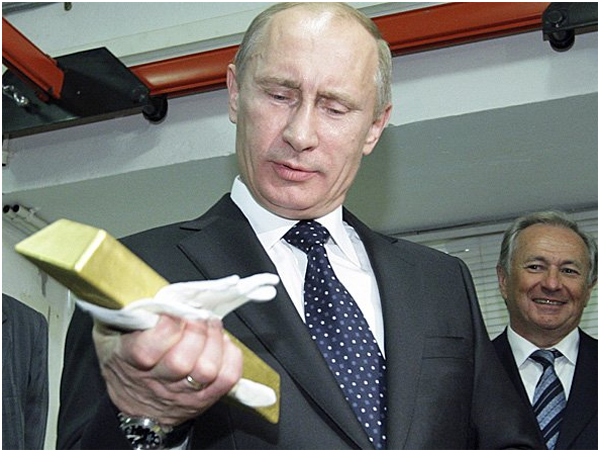 Gold should be supported by the deterioration in relations between the U.S. and Russia. Russian Foreign Minister Sergei Lavrov told U.S. Secretary of State John Kerry that Western sanctions over the Crimea dispute were "unacceptable" and “will not remain without consequences." Putin said he did not plan to seize any other part of Ukraine, and Kerry later cautioned that any incursion into other parts of Ukraine would be an "egregious step" and a major challenge for the international community. Geopolitical risk shows the importance of owning gold as a hedging instrument and safe haven diversification. Traders may be hesitant to go long gold, ahead of a policy decision by the U.S. Federal Reserve. The meeting will be the first presided over by Fed Chair Janet Yellen and she will likely indicate that the Fed is going to continue to taper but maintain ultra loose monetary policies in the form of debt monetisation and near zero percent interest rates. Asian share markets were mostly lower and European shares mixed with investors keeping a keen eye on the Ukraine and Crimea crisis and the Fed review later in the session. Reuters reports that dealers of gold bullion in Singapore and Hong Kong, noted a slowdown in physical demand. Premiums have fallen and domestic gold prices in China are trading at discounts to cash gold. Concerns about a spate of Chinese corporate bond defaults and the shadow banking system in China should support gold but demand appears to have abated somewhat in recent days. Although it may be best to wait to see the monthly import export data prior to writing off Chinese demand just yet.